Possums are a pest in New Zealand, but their fur has a unique quality. It consists of hollow fibres that trap air, which means the fur is very good at trapping heat. If worn next to the skin, possum fur will help keep the blood flowing, warming muscles and keeping them flexible, thus helping to relieve pain. This is the famous possum back belt, trialled daily for five years by rower Mahe Drysdale and worn while winning two Olympic gold medals. Wet or dry, it works well for lower back pain. 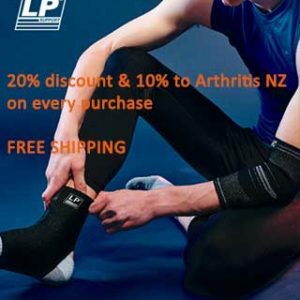 This product is not available to buy directly from Arthritis New Zealand. For more information and to purchase, please visit www.naturallypossum.kiwi A percentage of all Mahé product sales is donated to Arthritis New Zealand.